The term obstruction of justice is often used in television shows but it is rarely ever defined and it is often misunderstood. The reason for this is that there are a wide range of activities that can lead to a related charge, and like most criminal charges, they are state specific. In North Carolina, there is no specific statute called obstruction of justice, however there are several laws in North Carolina that involve interference with criminal investigations or the judicial process. These criminal laws are covered under several different statutes and are punished at varying levels of severity. We will discuss two of them here, but you should seek the help of a criminal defense attorney for more clarification, if necessary. In order for the state to prove this crime, the state would have to prove that the defendant broke into a building, structure, vehicle, file, cabinet, drawer, or any enclosure where evidence of a crime is located, with the purpose of altering, destroying or stealing that evidence. The state can also prove this crime by proving that the defendant altered destroyed or stole any evidence relevant to any criminal offense or court proceeding. This crime falls under North Carolina General Statute 14-221.1. It is a Class I felony and follows the North Carolina felony sentencing guidelines. In order for the State to prove this crime, the State would have to prove that someone willfully made or caused to be made to a law enforcement agency or office any false, deliberately misleading or unfounded report, for the purpose of interfering with the operation of a law enforcement agency, or to hinder or obstruct any law enforcement officer in the performance of his duty. Typically, this crime is punished as a Class 2 misdemeanor, however, it is punished as a Class H felony if the false, deliberately misleading, or unfounded report relates to the law enforcement investigation regarding the disappearance of a child. Another common charge is resisting a public officer, which we have discussed in other blogs. This is a Class 2 misdemeanor and is an extremely common charge in North Carolina. There are a wide variety of North Carolina criminal charges that can be complicated and confusing if you don’t have a criminal lawyer at your disposal. 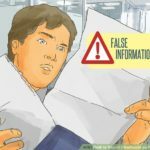 If you have been charged with a crime in North Carolina involving providing false information to the police or if you have been accused of tampering with evidence, you should contact a criminal defense attorney right away. Contact us, and we should be able to help.